Redefine as tuas expectativas. O Force elimina a linha que divide a produção musical contemporanea e nova geração de performance ao vivo de tecnologia criando um precedente para um novo standard da industria. Junta o clip-launching, step sequencing, sampling, motores de sintese e controlo multi touch numa máquina stand alone orientada para performance ao vivo. O Force combina as mais recentese funcionalidades modernas com um ultra intuitivo workflow que capta toda a tua criatividade para a expressão máxima das tuas capacidades. The ultimate side-cart and a solo centrepiece in its own right, Force provides the pinnacle of liberated performance capability that roots your focus on delivering the ultimate performance, whatever your next set demands. 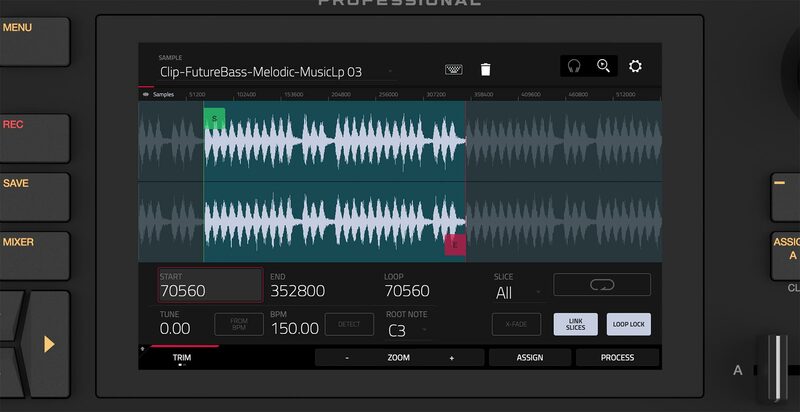 Seamlessly Import stems, loops and one-shots into Force’s 8x8 clip matrix and set playback modes including loop and trigger settings to remix and reimagine your tracks on the fly. Add impressive flair to your sets by harnessing the power of Force’s multi-touch display and on-board XYFX. 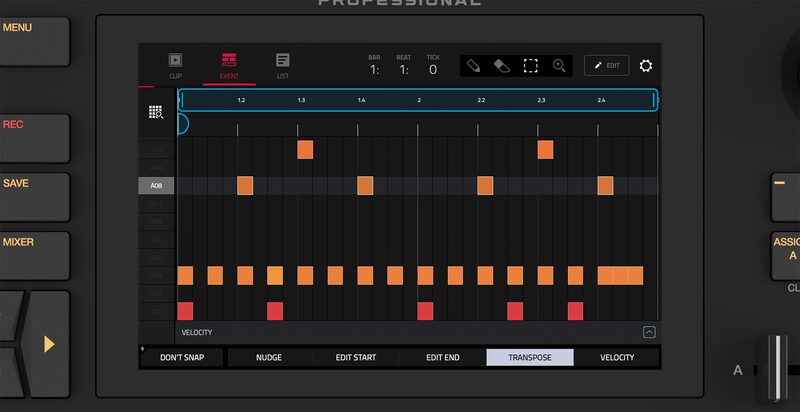 Apply filter, modulation and beat repeat effects in real time to individual tracks, select outputs or tracks. At the heart of Force is an intuitive clip-centric workflow that forms the creative core of your performance. 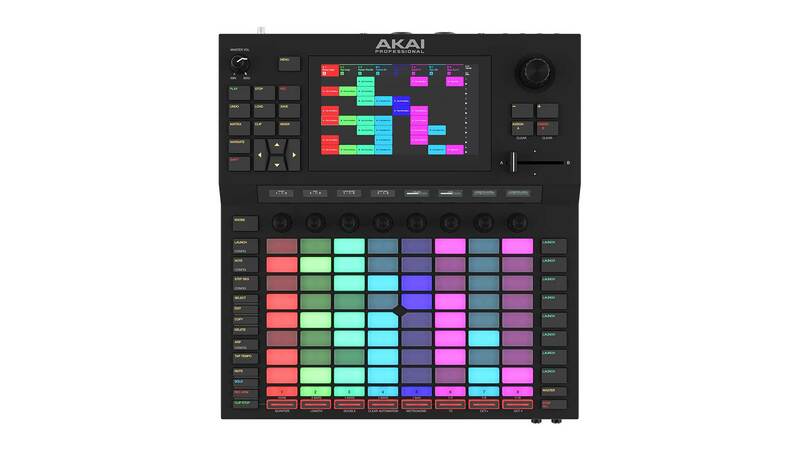 Combine multiple Modes with Plugin Tracks, MPC-Style Drum tracks, Audio tracks, Keygroup tracks, MIDI tracks and CV tracks to define clip types, then sculpt clips via step sequencing, drum pad performances and note data. Capture Audio from the dedicated combo inputs, load / sequence samples from Force’s browser or resample from another track. Get the most out of your modular rig. With CV tracks send your track’s MIDI data to external devices via Force’s 4 CV/Gate outputs. 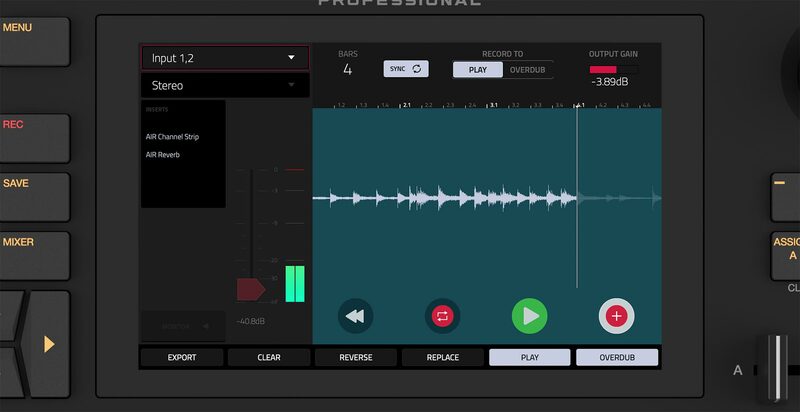 Using Force’s sampler, capture audio from combo inputs or resample from within the Force project. 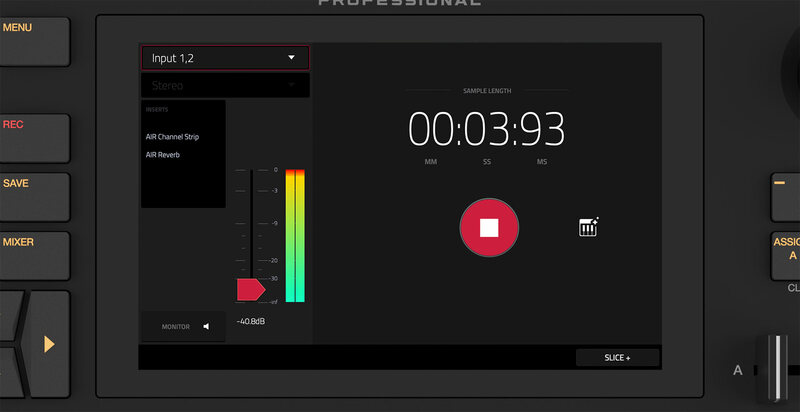 Add up to four real-time insert effects while recording and assign captured audio immediately to Tracks and Programs all a truly effortless live workflow environment. When it comes to capturing your performance, Force instantly adapts to your needs with all critical tools modern DAWs provide. 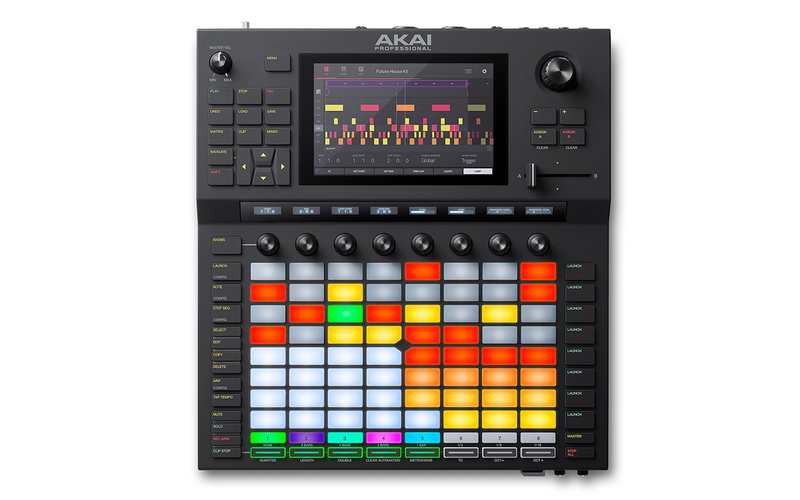 With an on-board step sequencer, MPC pad modes, legendary MPC Swing and a touch grid editor, capturing and honing your MIDI data for the perfect groove is just a touch away. Resample your clips or capture audio from Force’s collection of inputs and discover the endless creative possibilities of looping. Backed by an intuitive Touch User interface and full audio routing capability Force’s Looping capability is perfect for studio-centric inspiration or adding something truly original to your performance. 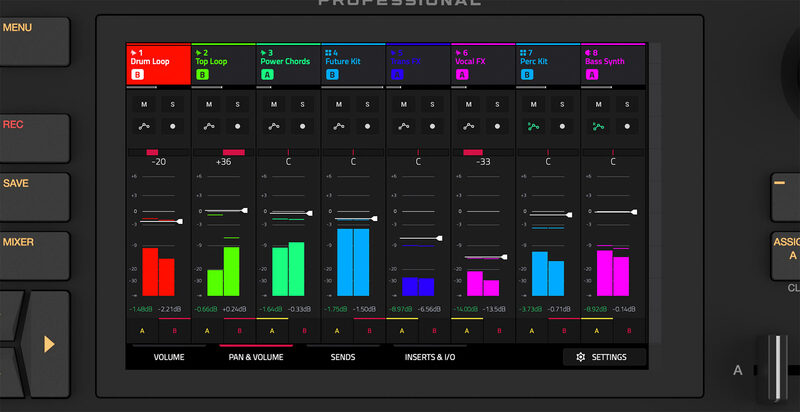 Using Force’s Track and Pad Mixers, set levels, pan, assign insert FX and send source audio to any one of four internal sends for all program pads, project tracks and the master output. With dozens of processors and effects from the AIR FX suite (made famous by ProTools), all controllable via smart assignments on the rotary encoders or the displays on the touch user interface, discover a fluid, immersive mixing experience without compromise. Attention all Ableton Live enthusiasts! Shortly after its international release, Force’s development program includes a pivotal update that guarantees one-for-one control of all core production and performance functionality within Ableton Live. From total visibility and command of Ableton’s clip matrix to tactile control of core mixer and device parameters instantiated in Ableton Live’s workspace, Force forms the beating heard of your creativity, guaranteeing immediate, effortless integration within your existing setup.